Please complete all the fields market with a * and we will do the rest. Cox Auto’s Citroen Service Centre Melbourne is well-known for providing excellent, quality service for your Citroen vehicle. We’re recognised as a genuine dealership alternative for Citroen servicing, therefore we know and understand exactly what your Citroen needs to perform at the highest quality. Your award-winning Citroen vehicle needs to receive the maximum quality of service, here at Cox Auto’s we guarantee that your vehicle will only receive this high level of service time and time again. Our Citroen service experts follow the Citroen Manufacturer’s guide precisely to ensure that your vehicle maintains its road worthiness and most importantly, it’s new car warranty. Our Citroen service centre is fitted with state-of-the-art technology and genuine Citroen parts, ensuring that your Citroen vehicle will be in great hands form start to finish of your vehicle service.  Our friendly Citroen mechanics and technicians in Melbourne will provide you with a detailed account of your Citroen’s condition, if any, and are always happy to answer any questions that you may have in regard to your Citroen vehicle and it’s service. Here at Cox Auto Citroen Service Centre Melbourne, we also ensure that your hassle-free service is always an affordable competitive rate, leaving you with no nasty surprises. We can also provide you with a courtesy car for your convenience, allowing you to still get to where your want to go whilst we work on your Citroen vehicle. To book your Citroen vehicle in for its next scheduled service then please click here or call us on (03) 9699 6338. Our work is guaranteed. If you're not happy with the service we provide, please advise us and we will do our best to achieve 100% customer satisfaction. Our parts are of high standard and quality. If the part supplied and fitted is faulty, we will replace this part within a year of the fitting date - free of charge.